This month marks the 30th anniversary of the World Wide Web. It is also the 50th anniversary of the Apollo space flight missions to the moon and back. 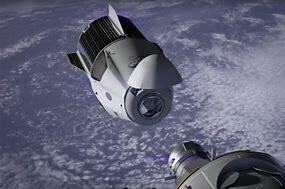 More recently, the successful unmanned mission by the Space-X Crewed Dragon command module to the International Space Station, we finally see space flight becoming a business as opposed to being strictly a governmental exercise. The underlying protocol of the web, and really all networking, is TCP/IP, which was ratified by the IEEE in January 1983. In March 1989, Tum Berners-Lee proposed what he first called the “Mesh” system, which introduced the concept of hyperlinks. Hyperlinks are the blue underlined text, images, and other devices that allow us to navigate the web just by clicking, instead of typing in an IP address. In November 1990, Berners-Lee and Robert Cailliau published the World Wide Web proposal. The next month saw Berners-Lee publishing the first website, which you can still see at the preceding hyperlink. First there was the Mercury orbiter program, we we sent a single astronaut into orbits that were increasingly longer. Allan Shepard was first, although he did not complete an orbit, just a quick shot into space and the first parachute water landing. Neil Armstrong was next, and the first to orbit. In less than a decade he would be the first human to step onto the surface of the moon. Next the Gemini missions sent two astronauts into space, where they learned how to work in space outside the capsule, and practiced docking maneuvers with satellites, other Apollo capsule, and a Russian capsule if I remember correctly. The Apollo missions followed. Unfortunately Apollo 1 burned on the pad, killing the entire crew of three men. The following missions went well, and Neil Armstrong, Buzz Aldrin, and Michael Collins made it to the moon in Apollo 11 on July 20, 1969. Apollo 13 had serious issues that required some pretty radical innovative thinking to get the crew back alive. Even though navigation was entirely manual due to computer damage, the landing set a record as being the closest ever to the recovery ship. This was followed with the Space Shuttle program. Recently, US astronauts and gear travelling to the space station have been flown using Russian and French rocket systems since the Space Shuttle program was ended in 2011. The Space-X Crewed Dragon brings the rockets and delivery systems back to the United States. The first mission was crewed by a sensor laden crash test dummy named Ripley. The first manned mission could happen as early as July, with crew members Robert Behnken and Douglas Hurley. Exciting times, if you are a space junkie.